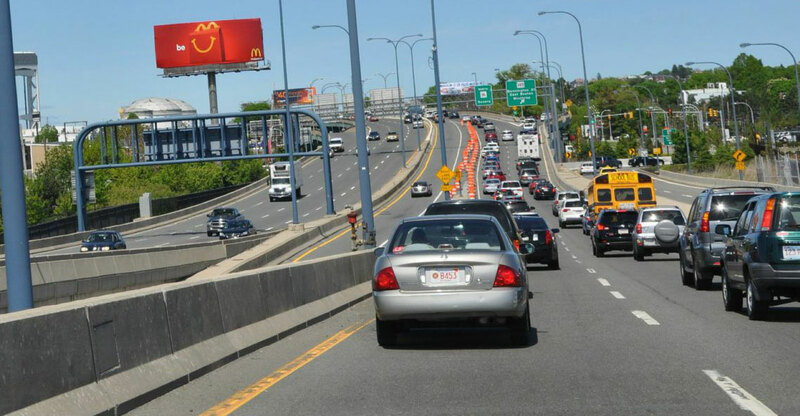 This high profile McClellan Highway, Route 1A – Callahan Tunnel bulletin targets outbound traffic from Boston, Logan Airport, northbound traffic from the Mass. Turnpike, I-90 /Ted Williams tunnel leading directly to North Shore Communities and the upscale towns of Swampscott and Marblehead. Suffolk Downs, North Shore beaches and the Lynnway which is home to many large retailers as well as automotive dealerships are all within direct route of this highly impactful Boston bulletin.